Ahhh Paris, I do love this city. I love it even more after spending a few days eating my way through it. I think one of the real beauties of Paris is that you can spend as little or as much as you like on your culinary experience while you’re here. After Airfare and Hotels who has a load of cash to spend on food. The good news is you can eat cheap in Paris. Eating on the Cheap doesn’t necessarily mean eating bad food either. Just like any big city, Paris is filled with great, inexpensive places to eat. Whether your looking for the traditional 3 course meal or a simple Croque Monsieur , they can be found in Paris. Today I want to tell you about a short visit to Paris and some of the more expensive and intimately romantic restaurants in the city. I would like to say that I have been to a plethora of the higher end restaurants, but that would be a lie. Frankly I can’t afford to go to too many of them in one trip. So I will have to make additional trips, I know it’s tough but I do it for you, the readers. 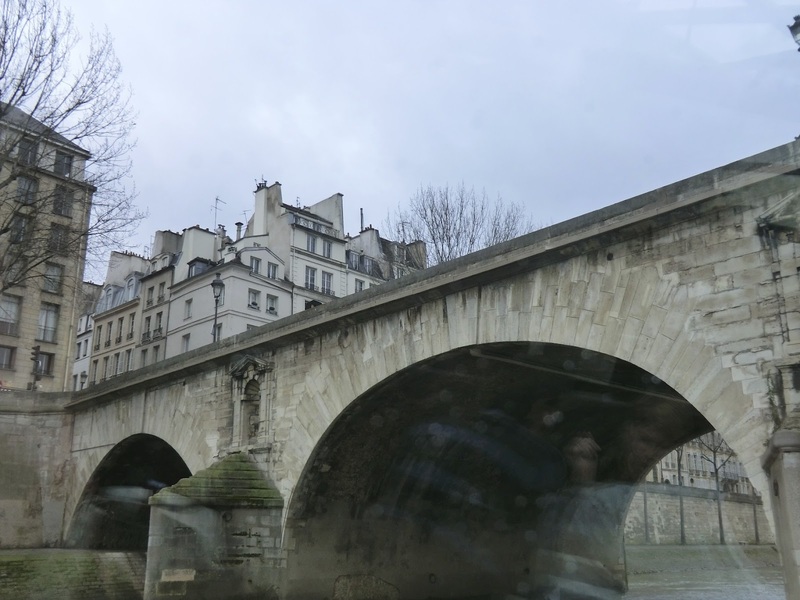 When your talking about the higher end places there are Restaurants, then there are Experiences and in Paris there are plenty of places that one can drop a boat load of cash while sipping on your wine while having an Experience. My Partner will tell you his favorite restaurant in the world is in Paris, which is why we went to Paris to begin with. To eat dinner at Fouquet’s that’s it, that was the whole motivation for this trip. And did we eat! 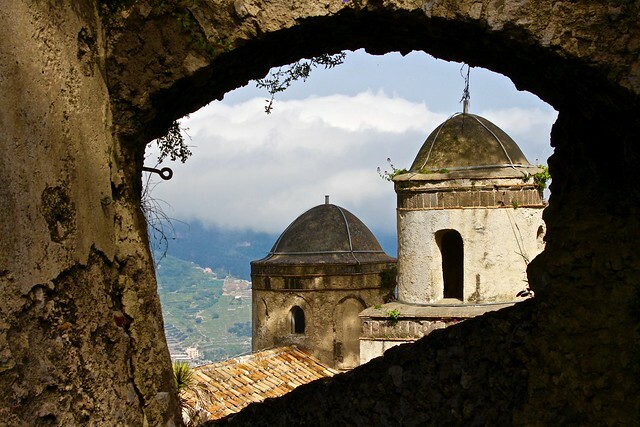 I want to share with you a couple of the places we visited while on our culinary excursion. 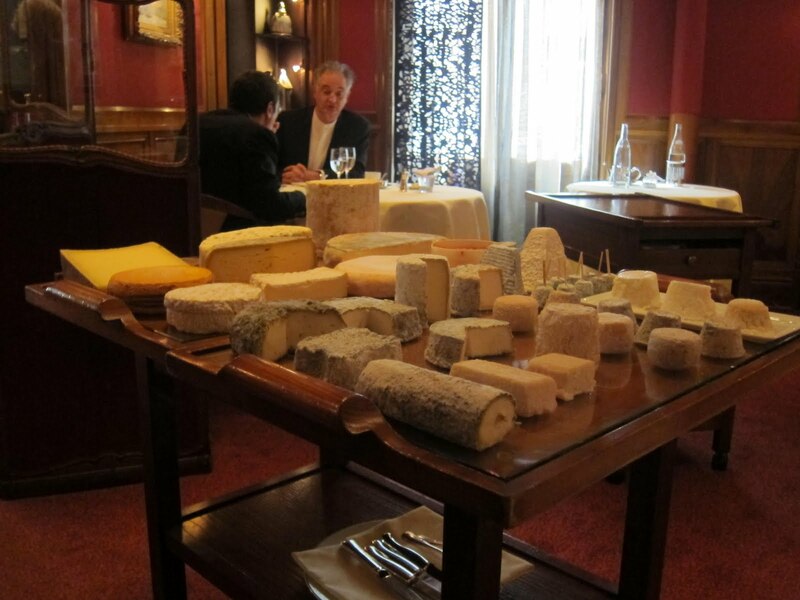 One of the great things about visiting cities like Paris or nearly any city in Europe for that matter, is to find a friendly cafe where you can sit and watch the city go by, a glass of wine in hand and some phenomenal cheese on the table, this is a great joy in life. 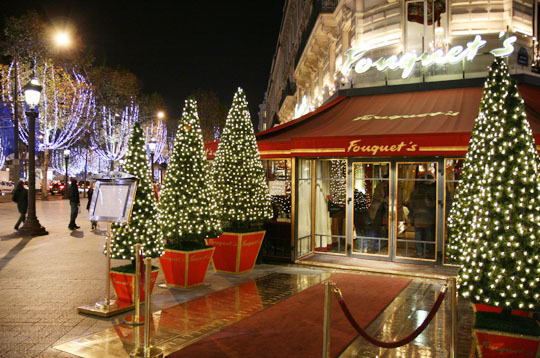 Fouquet’s is quite well known, mostly because of it’s location and that is more than 110 years old. In fact you would be hard pressed to find a better restaurant in the most perfect location, right along side the Champs Elysees. I think my partner likes to tell people it’s his favorite restaurant because he always orders a ridiculously expensive appetizer, Lobster Ravioli although it’s quite expensive, it’s also quite good. In 1899 Fouquet’s was born in the location of a driver’s bar on the corner of the Champs Elysees and Avenue Georges V. It quickly became a place to be seen in, it became the hangout location of actors and musicians. It was quite common to have agents, actors and producers signing contracts over lunch or dinner. By the 1950’s Fouquet’s becomes the home to the Nouvelle Vague, a French Musical collective lead by Marc Collin and Olivier Libaux. In 1990 the restaurant was added to the supplementary list of historical monuments in Paris and is officially recognized as part of the French Culture. 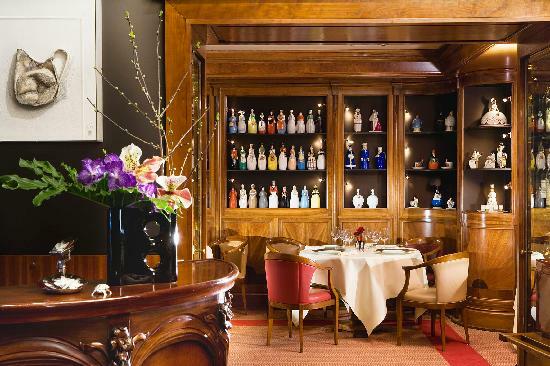 1999 saw a complete renovation of its restaurant and the introduction of Fouquet’s Hotel next door in celebration of it’s 100th Birthday. 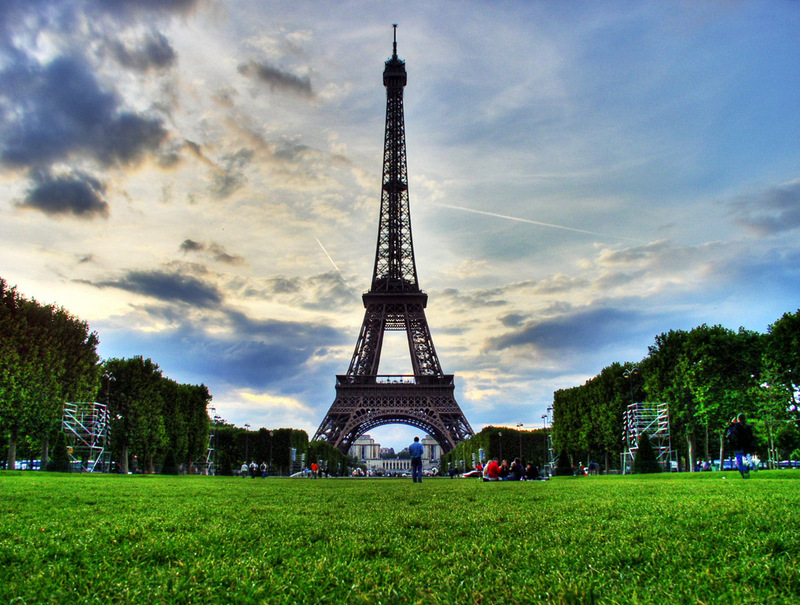 Today it is the celebrated place to Parisian’s high society and show business types. 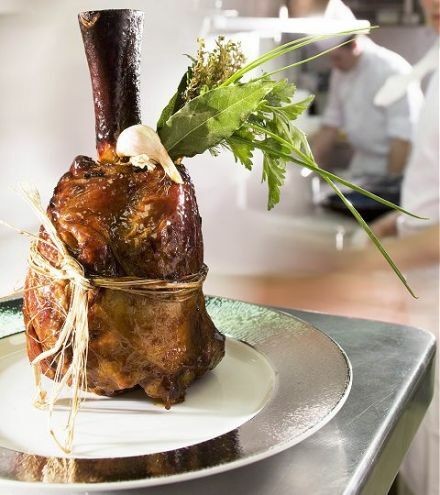 Chef Jean-Yves Leuranquer, winner of the Meilleur Ouvrier De France award has created a sublime, inventive, refined and quintessential French menu that is just superb. It is only fair to tell you, that if you decide to have dinner here and you should, be prepared to spend some cash. 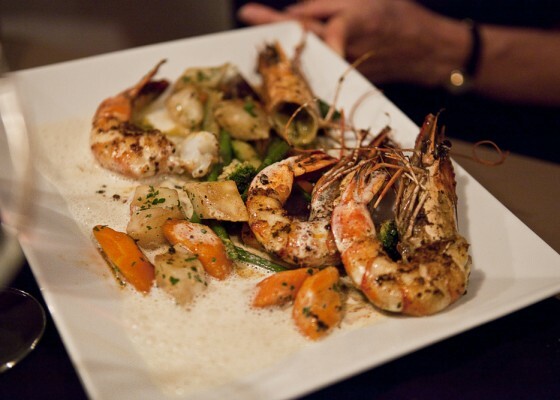 The traditional menu starts at €89 Euro’s which in U.S. Is about $110 per person. It is quite easy to have dinner for two with cocktails and wine that will set you back $500-$600. Although I have always found Fouquet’s to be expensive, it’s nothing compared to the next nights dinner, Retaurant Michel Rostang. 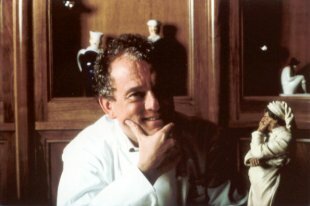 Michel Rostang is a force to be reckoned with, he was born to be a chef, literally. Born to Jo Rostang owner of La Bonne Auberge in Antibes, which itself has earned 3 star Michelin award. He married Marie Claude and had two daughters Caroline and Sophie who themselves are heavily involved in the Rostang empire. The Restaurant Michel Rostang is the star of the empire, a Michelin Starred Restaurant that is inspirational in it’s fine food. But this empire also includes a number of other outstanding places such as L’ Absinthe, Malliouha a, Les Bistrots D’A Cote, Janasse and Dessirier. Restaurant Michel Rostang is what I call an event restaurant, meaning that when an important event occurs in your life and you want to celebrate it, then you go there, this is one place that will be at the top of my event list for a long time to come. Dinner at Restaurant Michel Rostang, the food is only a part of the experience, it’s also the service, the wine list and the overall ambiance of the place. It would take me another 3000 words to truly express the wonderful meal we had here. In a restaurant of this caliber service is equally as important as the food and this restaurant does not disappoint. If your not used to having a service staff watch your every move in anticipation of your next need, then it can be a little unsettling at first. Just know that the staff here is very good at knowing what you need before you do, just go with it and enjoy yourselves. 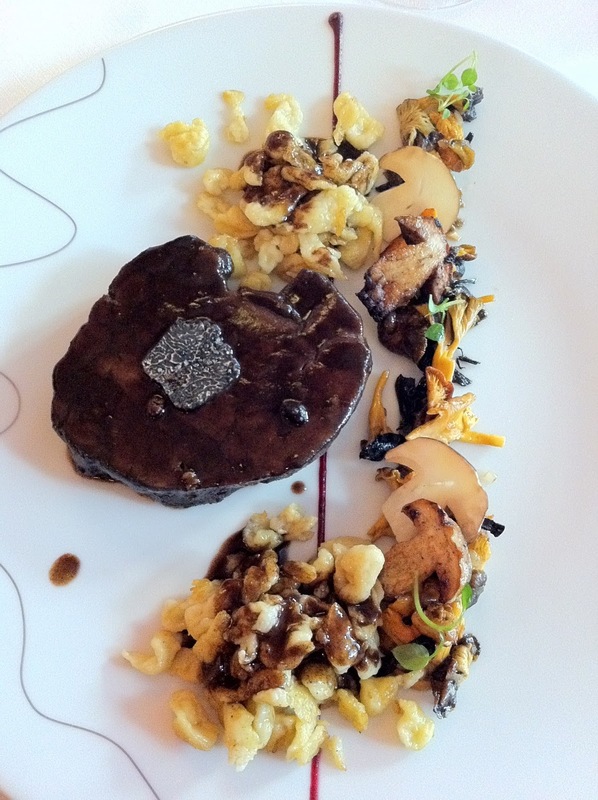 Restaurant Michel Rostang is very well known for it’s Truffle Menu’s. 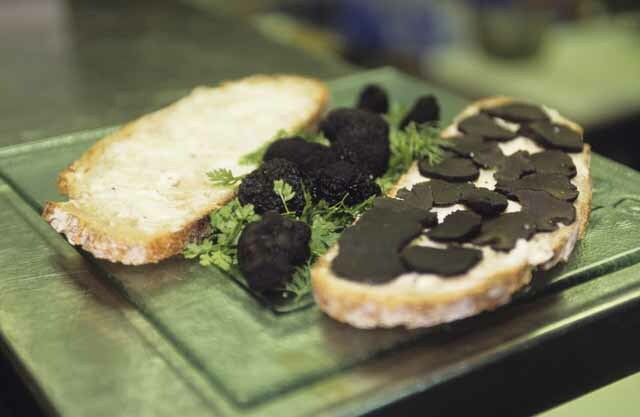 We were in luck, on our visit a Black Truffle tasting menu was available. Sea Scallops Carpacio with Black Truffles, Artichoke Soup and Black Truffles, the most outstanding Black Truffle Sandwich ever, followed by a Gallete of Artichoke with Black Truffle and Foie Gras, Sea Bass and Black Truffles or Breasts of Poultry with Black Truffles. All capped off with the best Soufflé I have ever had in my life, a lovely, light chocolate soufflé with a salted caramel sauce. All of this paired with a wonderful french Pinot Noir. If you find this wasn’t enough then try the outstanding selection of cheeses with a nice Cognac or Port. All of this ending with a beautiful assortment of chocolates and macaroons. 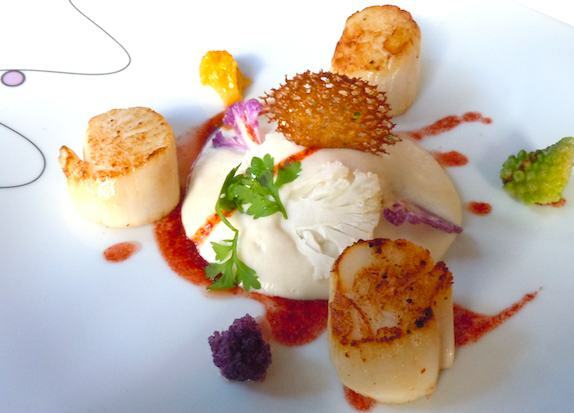 Restaurant Michel Rostang will not only soothe your soul, it will lighten your wallet, so be prepared. This is 5 star dining with a 5 star price, but don’t let that scare you away, if you have an event in your life to celebrate and find yourself in Paris, this is a place to do it. The Traditional tasting menu will set you back about €175 euro’s ($230 U.S) while the Truffle tasting menu will set you back about €290 euro’s ($400 U.S.) per person. Then add wine and cocktails and you can see how dinner for two can add up quickly, depending on your tastes consider $1000-$2000 for dinner. 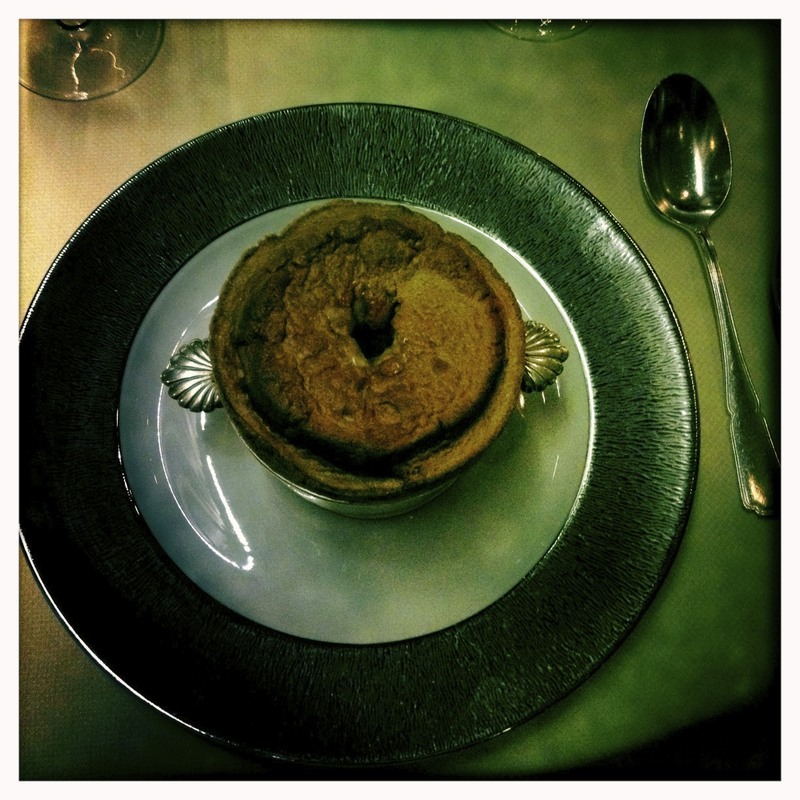 There is more to share with you on our culinary experiences in Paris recently, but I am running out of room on this post, and I have become very hungry. I will post a follow up to this regarding lunch in Paris and some of the finer and funner places to enjoy your lunch. Tip: I have to say once again, the Black Truffle Sandwich at Restaurant Michel Rostang is absolutely spectacular and simple to produce. According to the Maitre D’ it’s quite simple; you will need 3 ingredients. Good Crusty Bread sliced thin, Unsalted French Butter (yes, there is a difference), sliced Black Truffle. 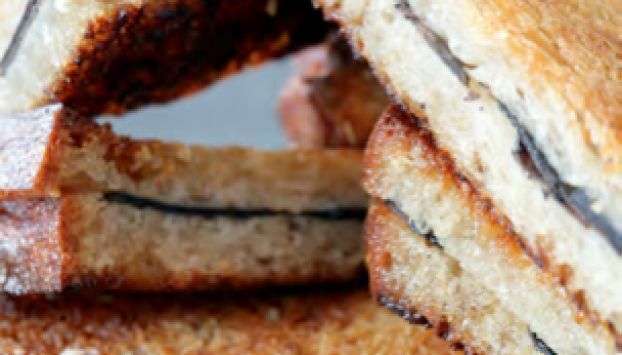 Liberally spread two slices of bread with butter, cover the bread with thin slices of truffles. Combine bread to form a sandwich, wrap in cellophane and store in refrigerator for 24 hours. Before finishing, bring to room temperature, toast and serve. 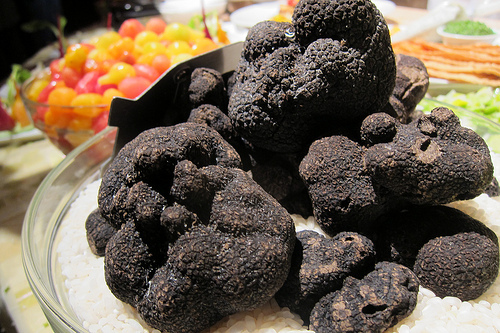 It is creamy, fresh tasting, with a wonderful musty truffle aroma, it is in a word sublime. Enjoy. ← Are all Airfares, AirFAIR?